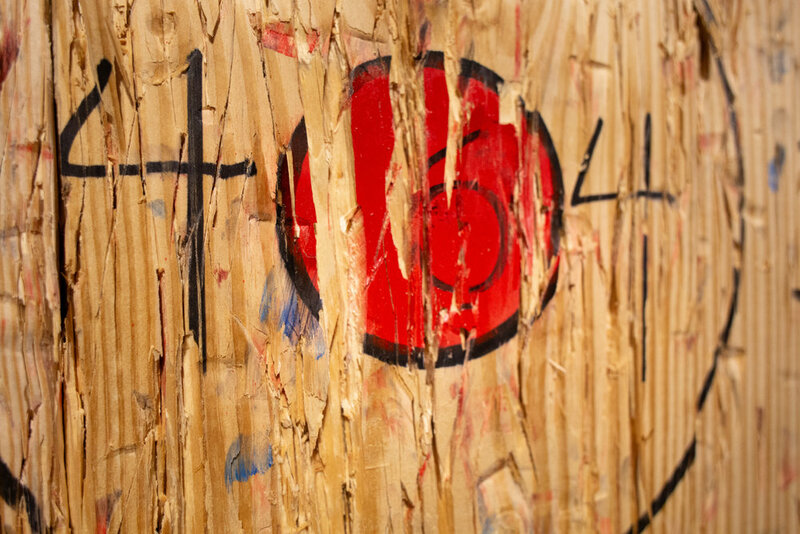 The statement also perked up our ears when we first heard about it. 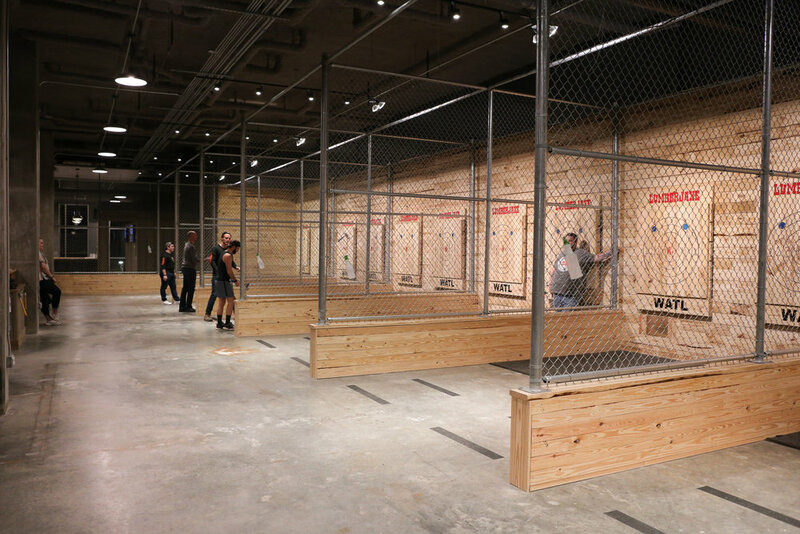 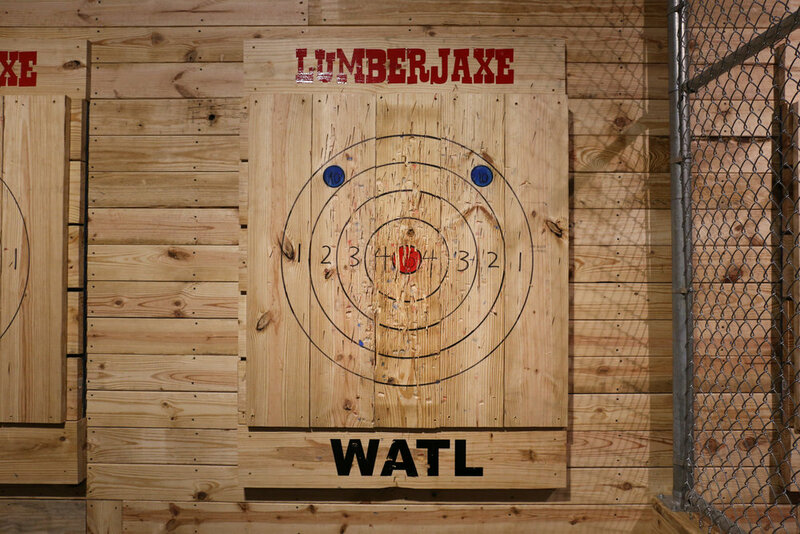 Imagining drunk college students throwing axes made us all slightly nervous…and very curious. 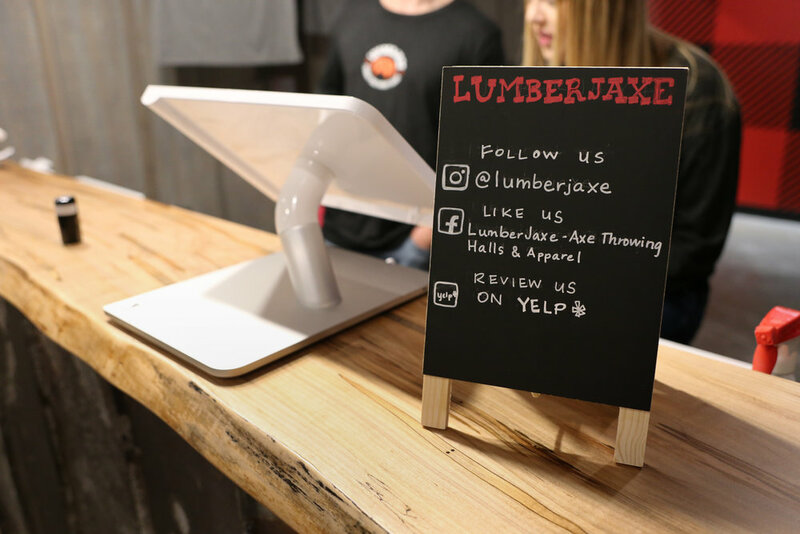 Several months ago, the owner of Lumberjaxe came to us for the wood of his new bar. 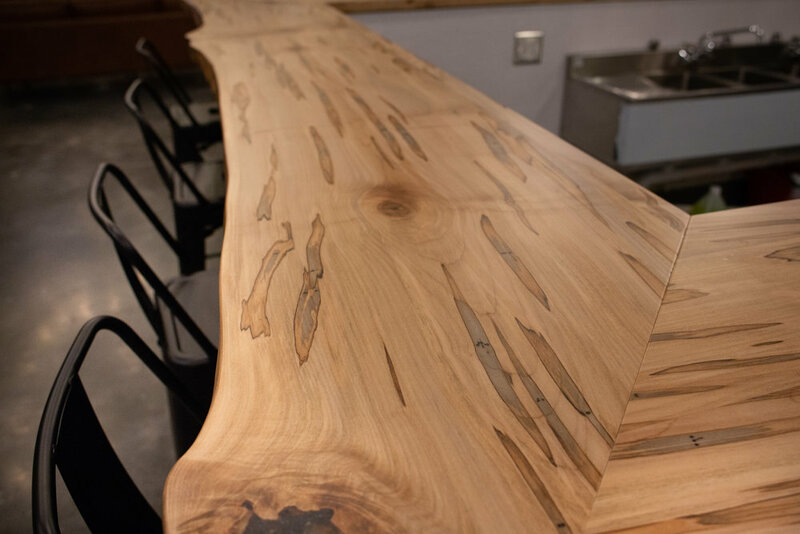 He had seen our wood in commercial spaces and was also wanting something unique that could hold up to the beer glasses, spills and bar life. 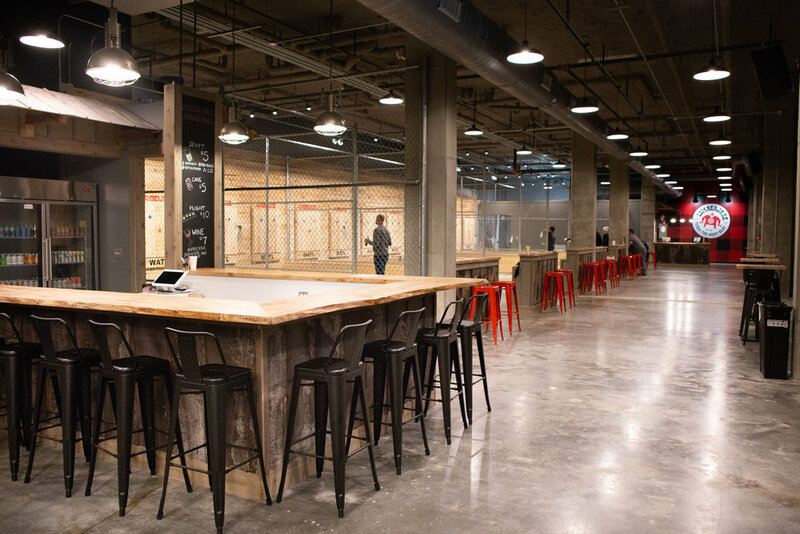 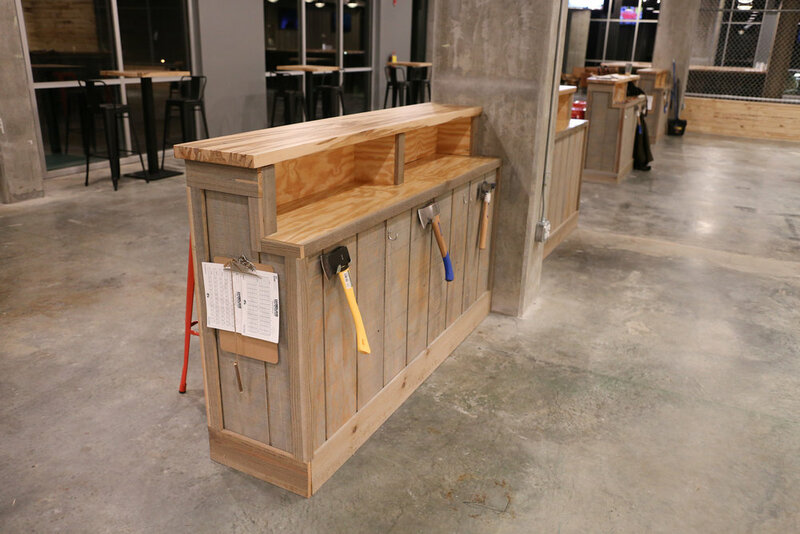 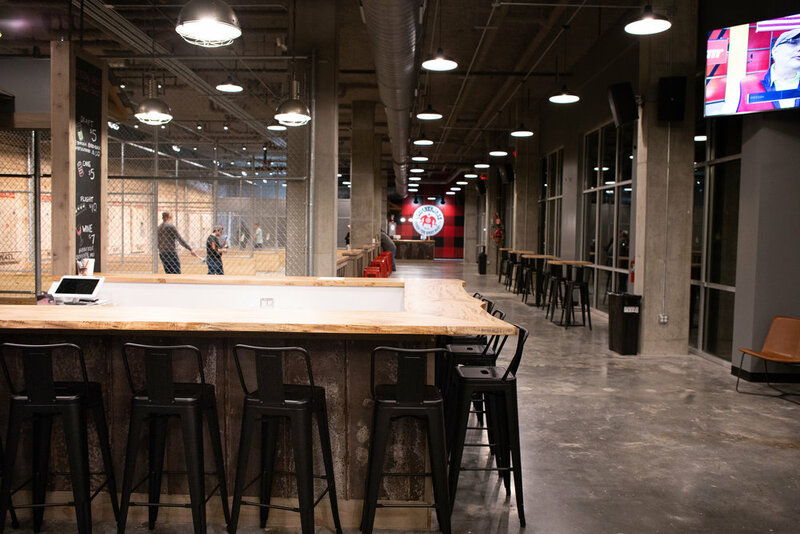 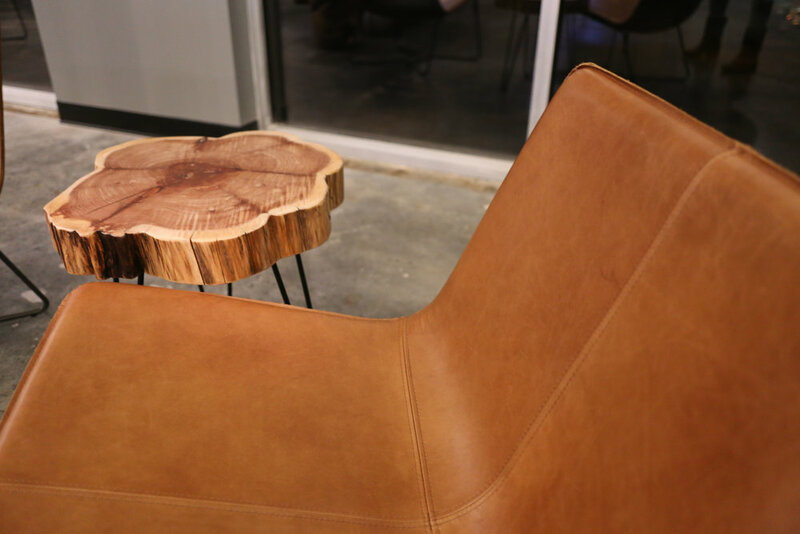 Partnering with JOMA Construction and Kristin Butler Interiors, we were honored to be part of the project and provided the Live-edge bartop, check-in counter, tables and ledges throughout the space to hold a beer or axe. 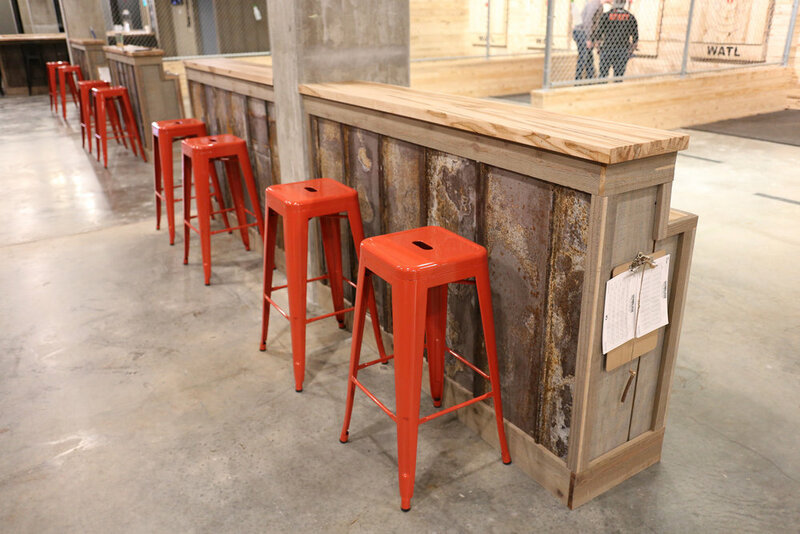 Each surface was finished with ML Campbell’s Polarion finish which makes the wood super durable and beautiful. 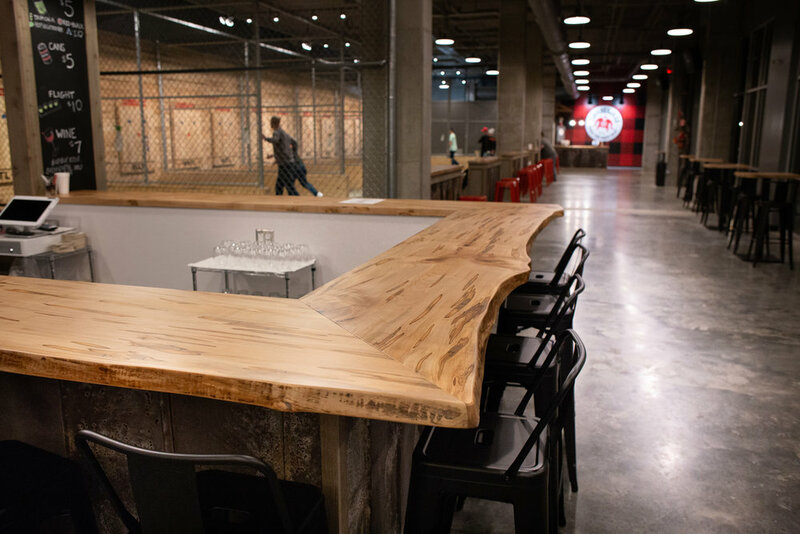 This past weekend was the Grand Opening and we sent Colleen (our in-house photographer and the voice behind our phone) and her husband on a fun date to go experience the space. 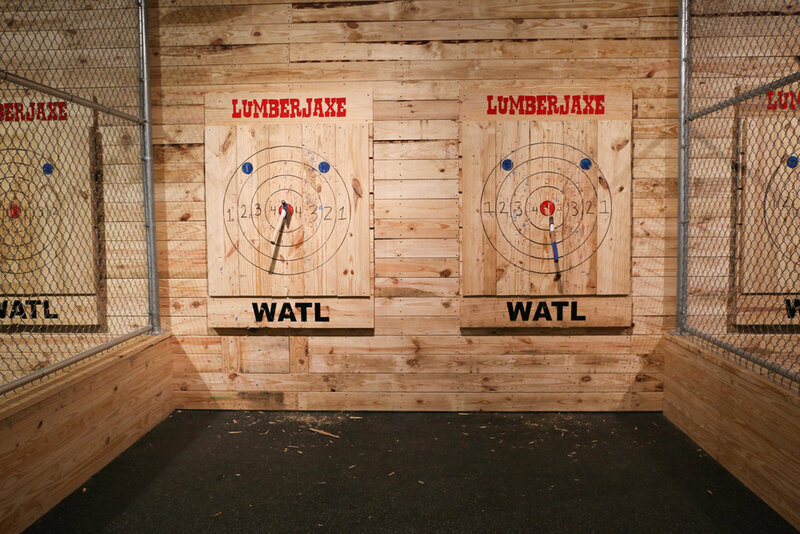 After capturing several great shots, they both hit multiple bullseyes and gave it a new date-night stamp of approval. 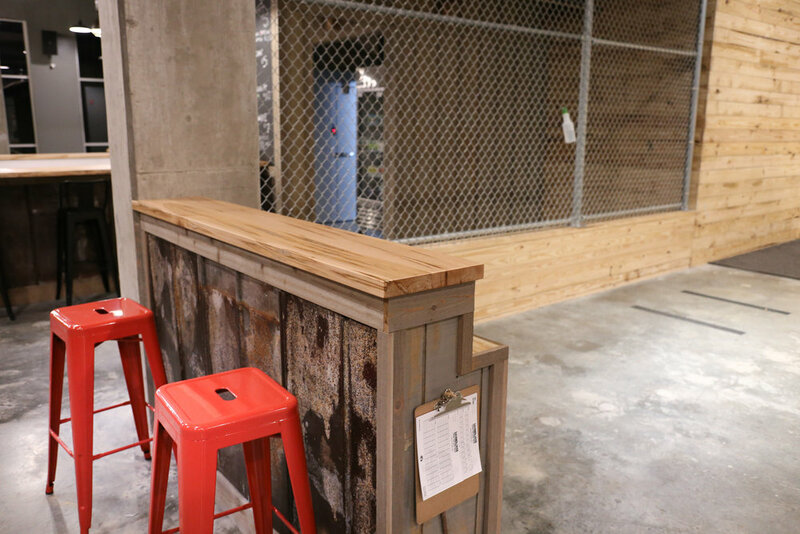 Be sure to swing by the new location on the back end of Athens under The Uncommon apartment building and check out pictures of the space below. 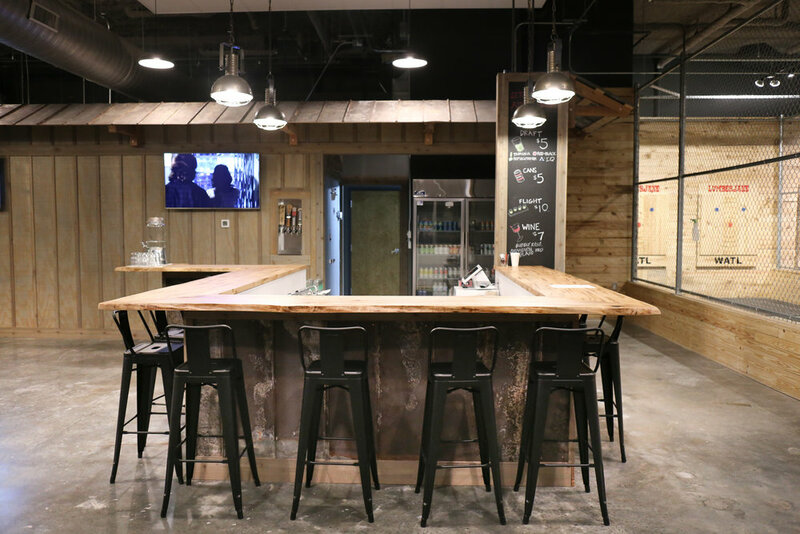 I have this thing with wide plank wood floors.